Today, we went to the city of Oomiya, located in southern Saitama, just a few minutes outside the borders of Tokyo. Something special can be found here that doesn’t seem to exist anywhere within Tokyo: Two Taito Stations right next to each other! One of them is on the western side of the train station, and one of them is on the eastern side, and for this review, of course we visited and took pictures of both! Our first stop was the Marui Shopping Mall on the west side of the train station. For a mall in a major Japanese city, it’s actually fairly small, but it still has a gaming area to keep your children entertained during your shopping spree. 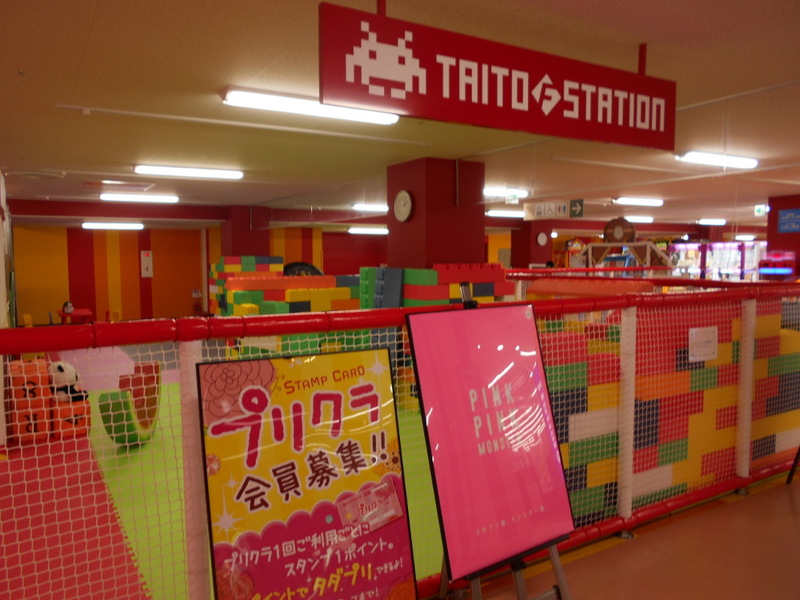 In essence, that’s all this Taito Station is – even more than others, this Taito is stacked with UFO catchers and Purikura, with some children’s games (from series like Kamen Rider or PreCure) as a bonus. We were pretty surprised to see that it even had any music games at all! In total, this Taito Station has 2 IIDX, 2 SDVX, 2 MaiMai, 4 Chunithm, 2 Jubeat, and one cabinet of pop’n, ReflecBeat and Dance Rush each. The IIDX machines were set up in quite a… unique way. While one of them was a super-soft setup with less than 50g total key weight, the other one felt like it lacked springs entirely, but instead relied on 100g switches! I’ve never played on a springless setup before, but it’s a fairly noticeable difference, even when compared to cabs with only 20g springs. Interestingly, it was precisely that cab which had problems with one of the keys – the leftmost key on the P1 side would sometimes not fire when being pressed. Maybe not having springs wears the keys down more? Outside of music games, this Taito also had a few normal cabs which seemed to appeal to more than just kids. 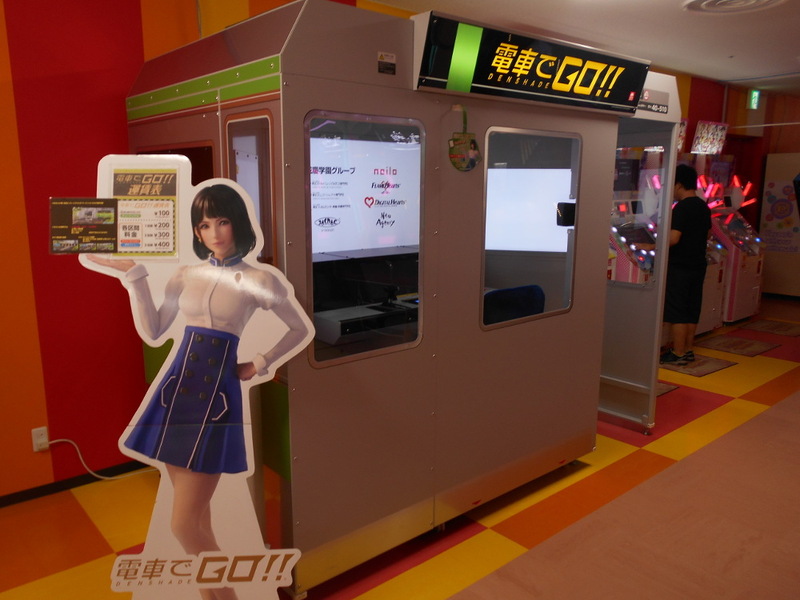 One of them was Densha de Go! !, which came out just earlier this year and has 3 screens, giving it a little bit of that “real simulator” feel, like the big ones that companies use. Right on the opposite side of the tracks lies the other Taito Station – and like many in Tokyo, it takes up most of the interior space of its building. 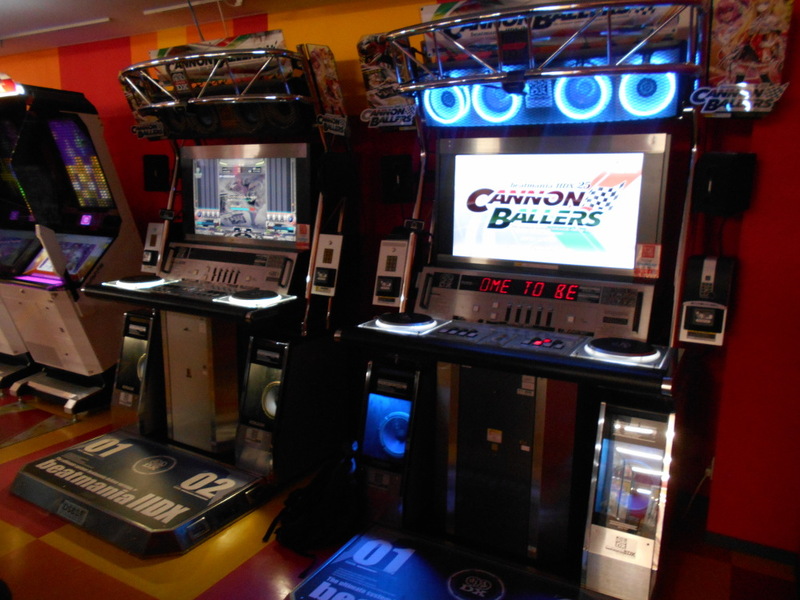 You can find the Music Game section on its 3rd floor, but despite it being more of a “proper” arcade than its counterpart in the west, it doesn’t have that many more machines. In fact, the only cabinets we saw more of in this Taito Station were IIDX (4 machines instead of 2) and SDVX (6 machines), but at least these ones were properly marked with key and spring weight (which, by the way, seems to have become the standard in most arcades throughout Tokyo now). Another added bonus was the customization on these cabinets, with the IIDX ones being styled after specific songs (the one we played on for example had the character from The Sampling Paradise on it). 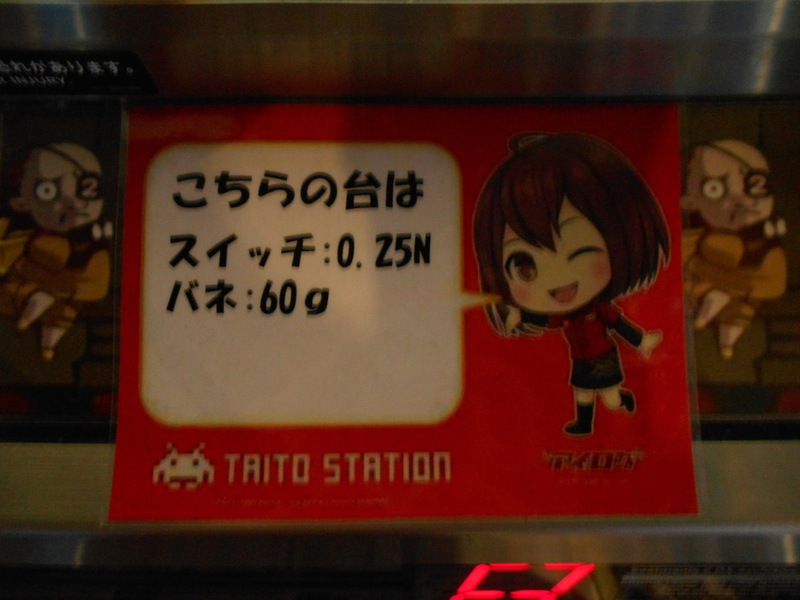 Other than that, it was a fairly normal Taito Station, though. They did not seem to have Dance Rush though, so if you’re a fan of that, you’ll have to look on the other side of the tracks. The situation with these two Taitos is certainly a little weird, but it somehow works out? On the one hand, the Taito in the shopping mall is a little bit of a “secret spot”, since we didn’t see any other rhythm game players while we were there, but on the other hand, it has worse and fewer IIDX and SDVX cabinets, so if you play those games, you might have to go to the more crowded one in the east. 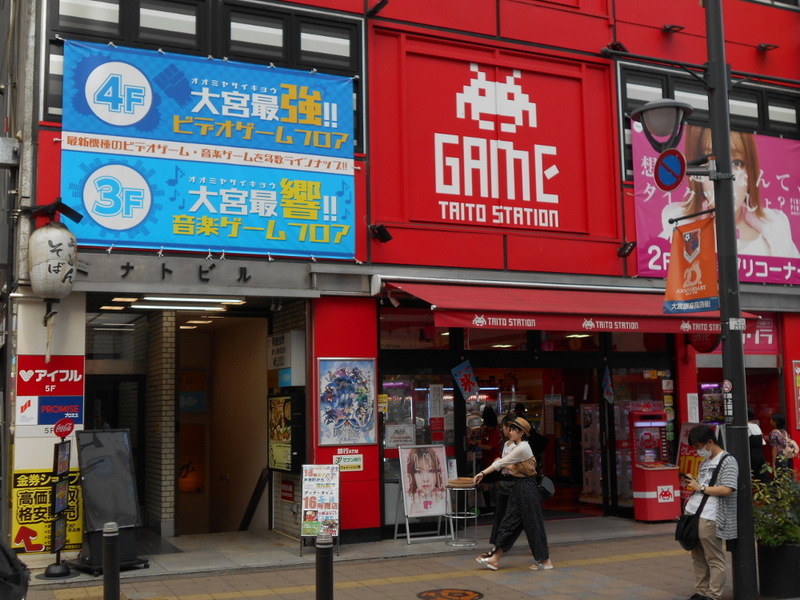 On the other hand, if you play Dance Rush, you have no choice but to go to the Taito Station in the west, since the other one just doesn’t have it. If you play both, you might have to travel through the station for your games. An interesting situation to say the least! Admin, rhythm game enthusiast and J-Core DJ. I live near Cologne but spend roughly a quarter of my life in the Netherlands to play arcade games.